The Khan family is currently holidaying in the Alps at France and the pictures of the same are taking the internet by storm. After Aryan Khan posted few stunning stills of himself, mother Gauri Khan shared a captivating photo of Shah Rukh Khan posing along with his son AbRam Khan. 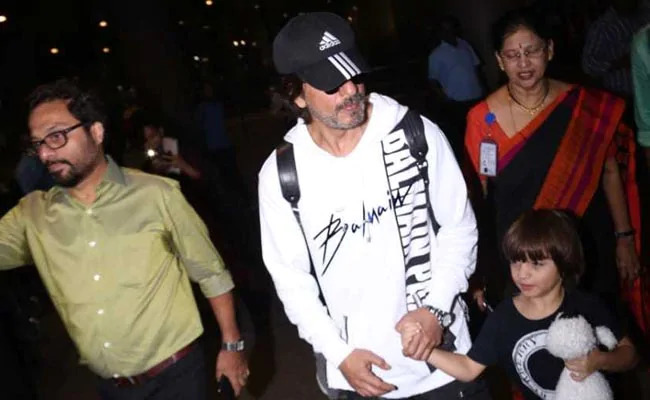 Speaking of their vacation, AbRam on Tuesday morning returning from Dubai with Dad Shah Rukh Kahn. 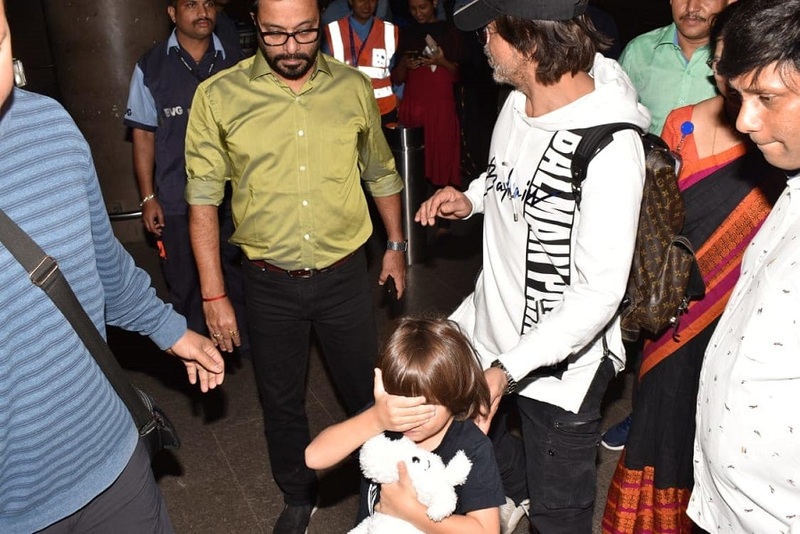 The father-son were snapped at the Mumbai airport upon their arrival and 5-year-old AbRam who clearly wasn’t comfortable with the paparazzi was seen hiding his face with the help of a soft toy he was carrying. In the past as well, AbRam has showed his discomfort with the paparazzi. Once he was snapped leaving Aaradhya Bachchan’s birthday party and as soon as the shutterbugs tried getting close to him, the star kid yelled, ‘No Photos’.